JustCall.Io is well suited as a backbone phone system with many capabilities for small to medium-sized businesses and their sales teams. With its rich feature set, dependable functionality, and developer and integration-friendly architecture, it could be a great solution.The platform is less well suited for those companies that have a well established telephony solution and are only looking to take advantage of one or two of its features, such as SMS for instance. There are probably other solutions that provide the same functionality at a lower price point. 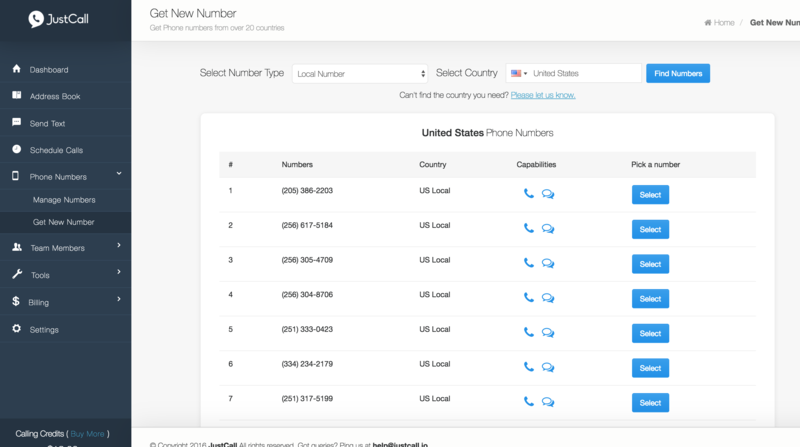 JustCall.io has a wonderful Chrome extension that plays nice with most other apps and extensions and enables things like a power dialer and click to call functionality to be launched from anywhere, even without being logged into the platform. Just Call.io has the ability to launch and sync SMS messaging from within the Pipedrive app, adding another touchpoint to the sales cycle easily. The platform developers are very open to other integrations and use cases and actively solicit feedback from their user community. They are also very responsive to questions and support requests. Since it's a VOIP system, you do have to have a working internet connection. The cost of the system can be comparable to standard land line phone systems. Having the ability for a receptionist to see who's already on the line is an additional cost. The power dialer functionality is in Beta still I believe and isn't not intuitive to use and add contacts to the calling list. In comparison, Kixie allows a very easy one-click operation, from anywhere on the web really, to add a number and contact to a power dialing session. JustCall.io bills itself as a complete phone system but its pricing structure makes using it as such more expensive than solutions like Kixie or Dialpad, at least in my experience. These guys are definitely on the right track, but more focus and clarity on the messaging and use cases JustCall is best suited for would result in a better net result for everyone in my opinion. At that time other vendors did not have a virtual attendant feature, thus 8x8 was leading edge. I have used both Kixie and PhoneBurner to try to add in the type of sales calling capabilities I wanted. In 2017, neither actually 100% fit the bill.Kixie is also a full-blown sales focused dialing and VOIP platform. They have really tight integrations with Pipedrive and other CRMs and a lot of the functionality we were looking for. With all the bells and whistles it is more expensive but certainly was a good contender. As I move forward here in 2018 we're launching a call center operation for which Kixie ay be a perfect fit.PhoneBurner is another platform that provides straight-up power dialing, dialing tech, and some additional resources. It does so on top of your current VOIP provider, so you don't have to make lots of changes. They have automated voicemail drops, email drops, and more to help accelerate the sales cycle.I chose JustCall specifically for the integration with Pipedrive and SMS capability. For now, it ended up being the tool for our business. It has successfully exceeded our objectives of smoother, bright, and straightforward communication platform for distributed teams. Ability to support customers from within their time zone. Overall, JustCall showed us the value of having an integrated tool to allow the execution of SMS messaging from within Pipedrive. It definitely allowed us to add in additional touchpoint that some decision makers and prospects felt more comfortable using. Despite the tight integration with Pipedrive, the totality of the solution added more overhead in financial and configuration/personnel terms than we were looking for. Since we had established a great set up for our phone systems already, adding another one just to access SMS didn't make sense. SMS from inside Pipedrive was the only function we were looking for. Just Call does this, and does it really well. But since we had our phones and VOIP already providing this outside of Pipedrive, it was ultimately not suitable. It became an expense for which there was not really a clear justification for in terms of ROI. Outbound & incoming calling costs depend upon from where to where calls are made. It costs less to receive calls on our web-app or mobile app than to receive it on your cellular network.